Shane Lyle grew up in El Dorado Hills, CA, and graduated from CSU Sacramento with a B.A. in Interpersonal Communication Studies. He has been in sales and customer service for the past twelve years. With a strong background in sales and customer service, as well as a degree in Communication Studies, Shane offers many quality traits and tools to better serve his clients as a loan officer. His work ethic is unmatched and he’s committed to giving his clients the best experience possible in hopes to build a relationship that will last a lifetime. Communication is of the utmost importance to him so he tries to always make himself available to his clients. His number one goal is to give his clients the best service and the product to best meet their needs. 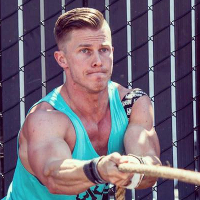 When Shane is not working, you can find him at the local CrossFit gym, where he coaches, as well as trains as a competitive CrossFit athlete.